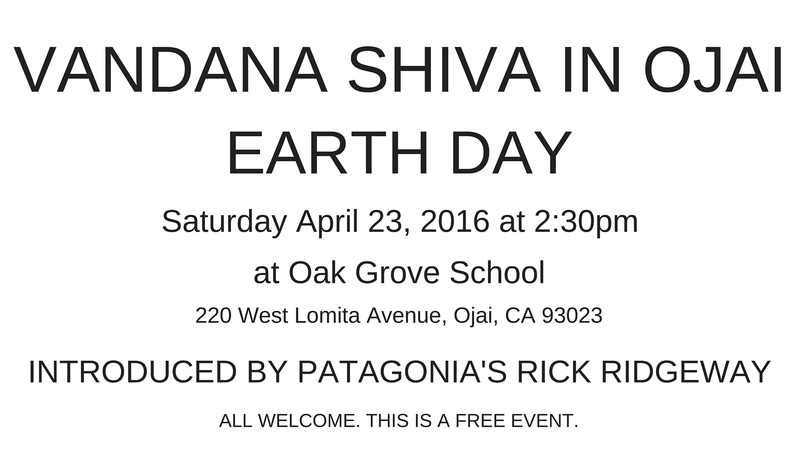 Vandana Shiva will be in Ojai next week to headline our annual Earth Day at Oak Grove School! If you are in the area, we can’t encourage you enough to attend this event. Oak Grove is situated on a breathtakingly beautiful campus. What better way to spend a gorgeous Spring day but in Ojai, surrounded by wildflowers, ancient oaks, birds, bees and butterflies and a friendly crowd of change-makers doing their part to rejuvenate Mother Earth? Many local organizations will have displays of their work; there’ll be activities for kids, a whole lot of music and fresh, local food. Earth Day starts at 11.00am. Dr. Shiva will speak at 2.30pm. Book Signing afterwards. Want to avoid parking snarl? The Ojai Trolley will be running for free that day so why not park your car near a trolley stop and be delivered to Earth Day in style? Better yet, ride your bike to campus. Oak Grove’s bike valet will take care of it for you and give you a free raffle ticket for a $3,000 value draw! Vandana will also be at Pacifica Graduate Institute’s conference Climate of Change and the Therapy of Ideas while in the area (April 24) and at Soka University for Critical Conversations: The Future of the Planet on April 26. We’ll be filming and taking notes at these events and will send you a brand new update about The Seeds of Vandana Shiva in a few weeks. Watch this space! 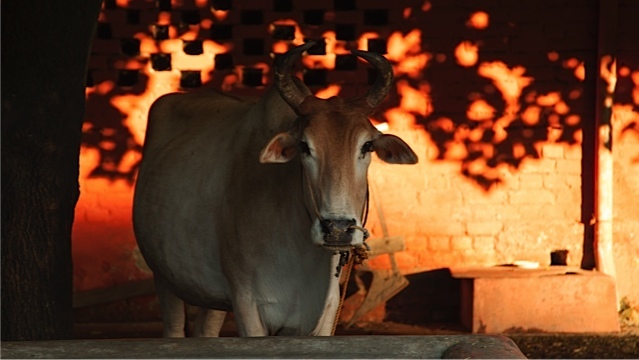 We have returned from our trip to India and are sorting through what we filmed. We’re excited to do so, but first we want to report on our journey and let you know what we learned. Especially because today is World Food Day. 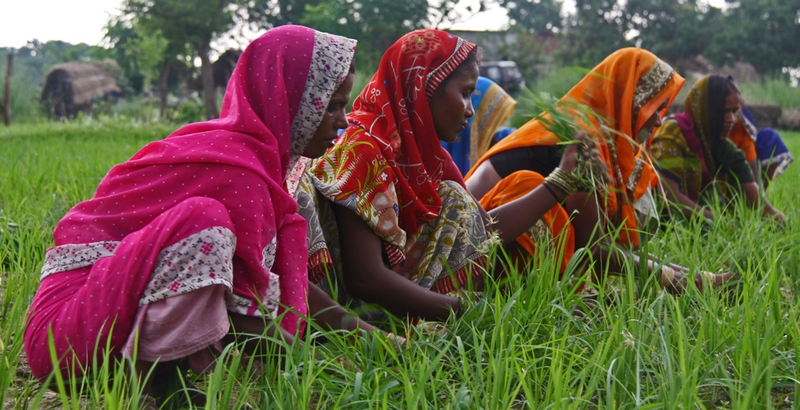 Not surprisingly, the inextricable link between soil, food systems and social justice was also a theme of our visit to India. On a Soil Pilgrimage led by Vandana Shiva (Navdanya), Ronnie Cummins (Organic Consumers Association), Andre Leu (IFOAM-International) and Will Allen (Sustainable Cotton Project), we filmed events with organic farmers, scientists and activists; at farms in the heart of the Bt cotton suicide belt; at Gandhi’s ashram on his birthday (a national holiday in India where the assembled pledged to make peace with the soil); and at Indore, where Sir Albert Howard (a founding father of the organic movement) learned organic methods from local Indian farmers and established a pioneering soil research lab. One thing is clear: Healthy soil supports healthy crops, healthy farms, healthy consumers and healthy economies. It is also a solution to climate change.Why? Because the living soil draws carbon out of the atmosphere and sequesters it underground where it fuels food production. Conversely, industrial agriculture disrupts the natural carbon cycle and actually depletes soil, along with its ability to sequester carbon. Worse, the industrial food system is responsible for more than 40% of climate disrupting carbon emissions. Armed with solid research into the science of agriculture an exciting new project, Regeneration International, formed by Dr. Shiva and others also launches today. They are in Washington DC for an International Press Conference to promote regenerative agriculture as a solution to climate change. 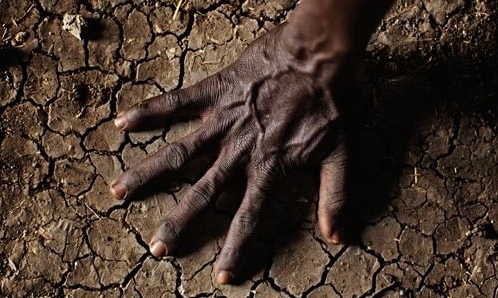 Look down: The answer to hunger, poverty, ecological devastation and climate change is right under our feet. With that thought in mind, we continue to edit our footage, including new interviews with Vandana’s son, sister, teachers, friends, her original publisher, Ronnie Cummins, Will Allen, Andre Leu and six inspiring young “seeds” of Vandana Shiva–farmers, artists, scientists and activists intent on regenerating a better world for us all. Watch this: Here’s our Promo Reel! What a busy few months it has been. 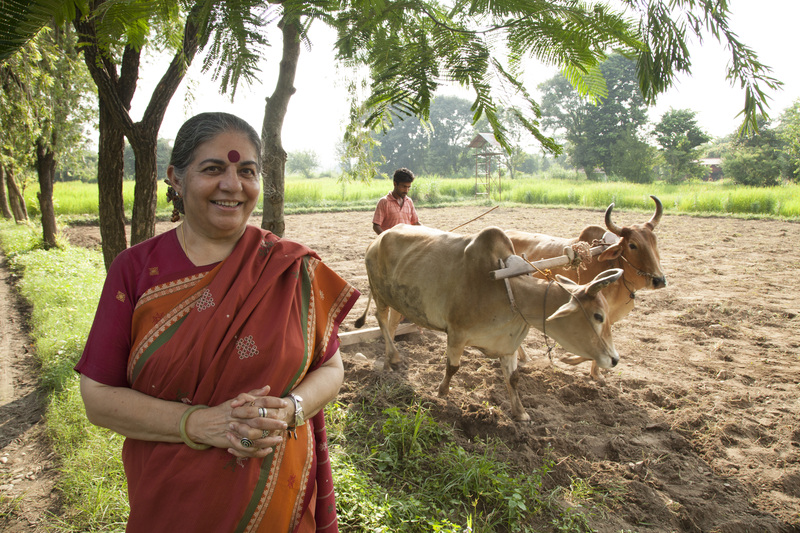 We received a generous grant to edit THE SEEDS OF VANDANA SHIVA from the Logan Foundation and our wonderful editors are hard at work. We’ve also been working on the script and researching music, archival footage and Indian animation and graphics. And we’ve been networking! 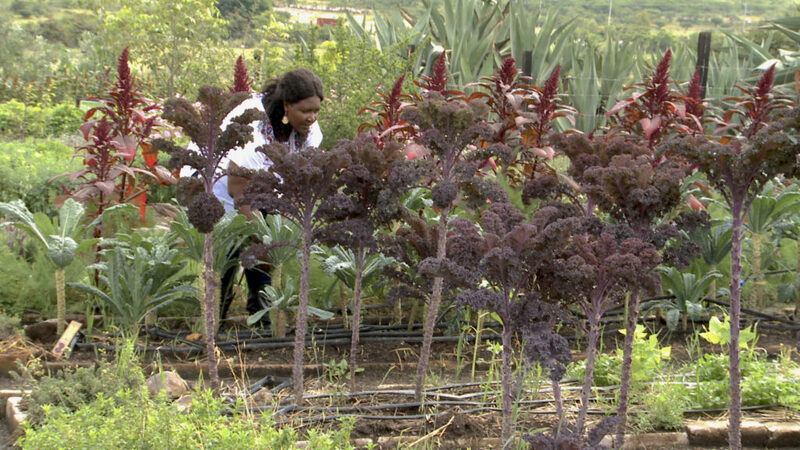 From scientists, to farmers, to activists, to chefs, we’ve connected with many brilliant people working towards just and ecological food systems for all. These individuals and the organizations they represent need all the messaging help they can get. Why? Because the strategic centerpiece of industry public relations is that large scale, chemically dependent agriculture is the only way to feed an increasingly crowded and hungry world. The truth is that appropriately scaled organic food systems produce superior nutrition and equivalent yields; they also do not deplete soil, pollute air, overuse water, destroy birds, bees and butterflies or mess with our health! The problem is that government-supported Big Ag and Big Food have limitless public relations resources, putting agro-ecologists at a disadvantage. This is especially true in the developing world where there is relentless marketing of GMOs and widespread occurrence of corporate land grabs. 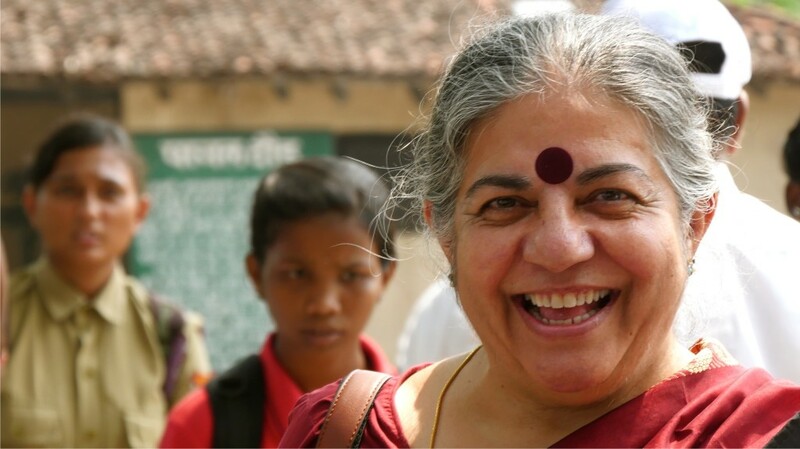 For this reason THE SEEDS OF VANDANA SHIVA will be much more than a documentary film; it’s also a strategy to support movement building. We have committed to sharing Vandana’s inspiring life story with organizations around the world–both big and small–to support their education, outreach and fundraising efforts. We need to collectively address agro-industry’s dishonest narrative with an alternative that offers solutions and hope. We’ve forged over fifty alliances already, including with Seed Freedom, African Biodiversity Network, Center for Food Safety, Edible Communities, Global GMO Free Coalition, The Greenhorns, Rodale Institute, Soil not Oil Coalition and Seed Savers Exchange. With our newly minted promotional reel, we’ll be reaching out to a list of more than 150 additional organizations across the globe. Speaking of the promotional reel, here it is! News About Thank You Gifts! We’re getting ready to leave for India! And we’re thinking about Thank You Gifts for our generous donors. Please expect them towards the end of September, when we get back. 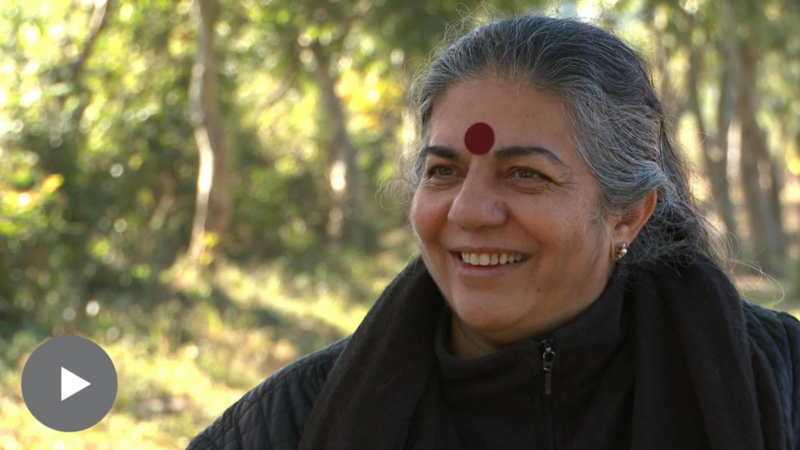 As you know, we are traveling to India to film for our new documentary, The Seeds of Vandana Shiva, which tells the remarkable life story of eco activist Dr. Vandana Shiva, how she stood up to the corporate Goliaths of chemical agribusiness, rose to prominence in the environmental movement, and inspired an international movement for change. You can still make a tax-deductible donation towards production costs for this project! Our next step is to create a fundraising video to help us secure foundation funding to complete a full-length version of this important film. Some background: When she was researching her book about women and ecology, Staying Alive (first published in 1989), Vandana began to look at science in a new way. The Neem Tree she mentions in this clip is indigenous to India, and has been used for centuries in Indian medicine and agriculture. In 2000 the European Patent Office revoked a patent on Neem for pesticide use that had been granted to the U.S. based W. R. Grace Corporation, ruling that the patent amounted to bio-piracy. Vandana’s activism was key to the ruling. As to her own scientific credentials, as a child Vandana was considered a science prodigy, and received important science scholarships throughout her education. She earned her first degree in Particle Physics at the University of Chandigarh, and her PhD in the Philosophy of Quantum Theory from the University of Western Ontario in Canada. Before founding her Research Foundation for Science, Technology and Ecology, she did interdisciplinary research in science, technology and environmental policy at the Indian Institute for Science. There’ll be more on her scientific career in the film! Again, deep appreciation and thanks to our donors. Don’t forget to select your Thank You Gifts. We’ll be back in touch when we get back from India. 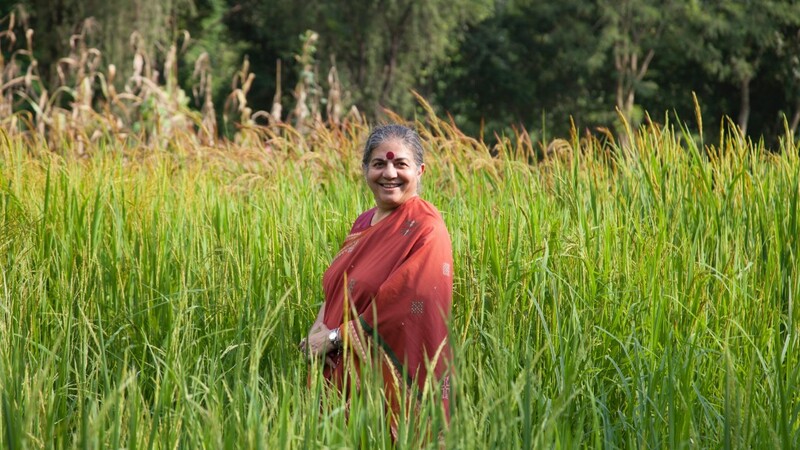 Vandana Shiva is a brilliant scientist and environmental activist at the center of an epic battle over the world’s food system. The fight is between industrial, chemically dependent agriculture (in cahoots with “Big Food”) and ecologically sustainable farming that supports the health of the planet and the wellbeing of all people. Dr. Shiva is known as Monsanto’s worst nightmare as well as a rock star of the sustainable food movement. But outside of the world of environmental activism, she’s relatively unknown. 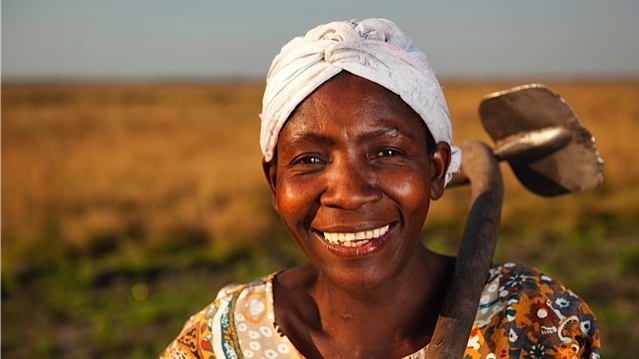 This despite the fact that she has proven definitively that organic agriculture produces higher yields and greater nutrition at a much lower cost than toxic chemical agriculture. The Seeds of Vandana Shiva will clarify the issues at stake through the lens of Vandana’s extraordinary life story. Today, there is enormous corporate investment in spin to discredit her, with claims that industrial agriculture is not only healthy, but the only viable means for “feeding the world.” However, this inspiring woman’s fight for seed freedom and democracy against seed monopolies and the rule of multinational corporations will tell the true story. We can still tip the balance in this David vs. Goliath battle before us. 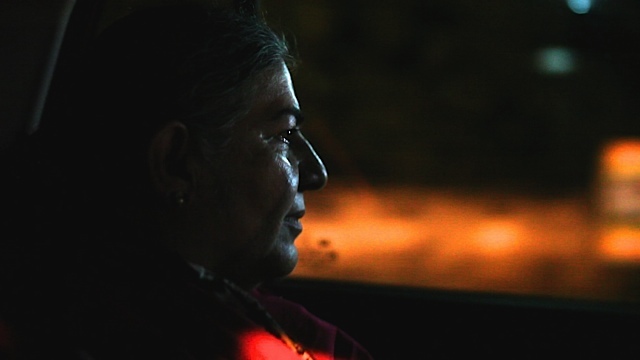 With The Seeds of Vandana Shiva, we are blessed with a story of Gandhian proportions that we hope will appeal to a broad audience and, importantly, inspire viewers to action.